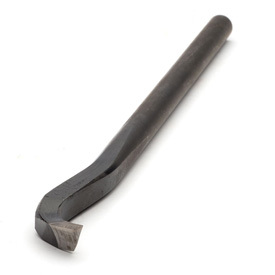 Kelton Heavy Bend Hollowing Tool 1/2"
The no-nonsense, quality Kelton™ Heavy Bend Hollowing Tool is capable of doing all types of hollowing work. Forged to shape and equipped with a special alloy cutting tip for long life, Kelton Hollowers are equally at home making aggressive hollowing cuts as well as delicate finishing cuts. Note: Pictured tools are 1/2", the 5/16" tool looks slightly different. Comments On Apr 07, 2017:The quality of the medium bend and Heavy bend hollowing tools are very good but there really isn't much of a difference between the two. If anyone is thinking of buying both don't.